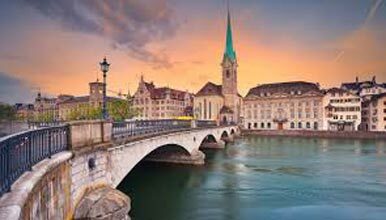 Arrive Zurich and transfer yourself to station located underground for your train to Lucerne by validating your Swiss Rail Pass. Arrive in Lucerne and transfer yourself to your hotel and check in (Standard check in time is 1500 Hrs). Evening you can opt for a Lake Lucerne Cruise (FREE WITH SWISS RAIL PASS) Overnight in Lucerne. Take a train to Engelberg (1 Hr). Small town in a valley surrounded by mountains. Start your Fun filled day by taking three stages of cable cars to go up to Mt. Titlis 3020 meter above the sea level. Your Mt. Titlis ticket also includes the Ice Flyer to take you up to the Glacier Park where you can enjoy snow activities on the top. Return back to Lucerne by late afternoon. Explore Lucerne visit the Kapell Brucke Bridge and Lion Monument. Best Way to explore the city is to opt for a 40 minute nonstop train tour with audio guide. Next visit to very famous Transport Museum of Switzerland. Overnight in Lucerne. After Breakfast Checkout and transfer to Interlaken. Arrive Interlaken (3 Hrs Approx). Transfer yourself to Hotel and Check in and Day at Leisure. Today you can take cruise along the Lake Brinz or Lake Thun or Visit the famous Ballenberg Open air Museum showcasing more than 100 original buildings from all over Switzerland. (Absolutely Free With Your Swiss Pass). Overnight in Interlaken. After Breakfast check out and transfer to station by your own and board a train to Paris. Arrive Paris and transfer to Hotel. Check in. Evening we will do cruise on Seine River. Later Visit main sights of Paris Illuminated by Night. Overnight in Paris. After Morning Breakfast explore main sights of Paris with your L’Open Tour pass.Visit the landmarks of Paris like Arc De Triomphe, Concorde Square, The Invalids, The Alexander Bridge, The Opera House and Champs Elysees. Next opt for a visit to the fascinating Eiffel Tower to have a bird’s eye view of Paris. 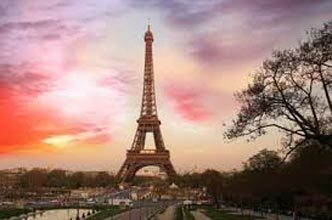 (Eiffel Tower Tickets are not included in the Tour Cost and the same has to be paid directly). In the Evening you have an option to go for Lido Show(not included in tour cost). Overnight in Paris. After Morning Breakfast Depart for full day excursion to Disneyland Paris. Your ticket entitles you either for Walt Disney Studios where you can discover the magical world of cinema and television at Walt Disney Studios Park where thrilling rides awaits you. OR If you wish to see past glory of France and are interested in History you may choose to take an Excursion to Versailles Palaces and Gardens. Overnight in Paris. After Breakfast check out and make way to station to board your train to London. Arrive at London and transfer yourself to your Hotel. Check In (Standard Check in to hotel at 1400 Hrs). Rest of the day is free at leisure. Overnight in London. After Breakfast make your own way to departure point of your Hop On Hop Off Bus. Explore London with your one Day Hop on Hop off Bus Pass. 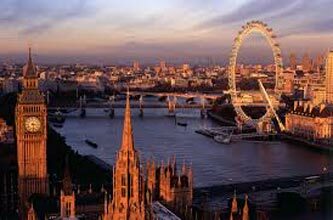 Familiarize yourself with city with live commentary on the bus and spend time at – Bigben, Tower of London, Madame Tussaud’s Wax Museum (Entry Included), St. Paul’s Cathedral, West Minister’s Abbey, London Bridge, Buckingham Palace, Trafalgar Square, Oxford Street and London Eye (Ticket Included). You can optionally opt for a cruise on River Thames. Enjoy the structures of the 2000-year-old city. Overnight in London. Today After Breakfast you can opt for full day trip to Stonehenge, Oxford & Windsor Castle. Return back and make your own way to hotel. Overnight in London. Today After Breakfast check out and depart to airport for flight back home with wonderful memories of your tour.